Apprentices left jobless following the collapse of outsourcing giant Carillion will not be paid after January, it has been claimed. But ministers have now confirmed that they will stop receiving money from the official receiver after Wednesday, according to a report in the Huffington Post. This flies in the face of reassurances from the cabinet office minister David Lidington, who has previously claimed that those working for Carillion full-time would be paid and trainees would not lose out. The skills and apprenticeships minister Anne Milton was quoted as saying: “The ESFA can confirm that all affected apprentices will continue to be paid by the receiver until the end of January. “Following the announcement on the January 15, regarding the collapse of Carillion, the ESFA has enacted robust contingency plans and identified the Construction Industry Training Board as the best-placed alternative provider. “The CITB is currently utilising its existing employer contacts in the sector and the grant incentives it has available in order to secure existing employers or find alternative employers for the apprentices to complete their frameworks or standards. Unless the former Carillion apprentices have managed to secure new employment during the two weeks since the firm’s collapse, they will have no income from next month. Jonathan Slater, the Department for Education’s permanent secretary, said during a Public Accounts Committee hearing this afternoon that around 440 of those apprentices have so far been found new employment. The new education secretary Damian Hinds had promised last week that he would ensure every apprentice affected by the collapse of outsourcing giant Carillion would be found new employment to complete their training. Shadow education Secretary Angela Rayner described the situation “simply isn’t good enough”. “Ministers had promised that these apprentices were being taken back in house and that they were doing everything to keep them in training,” she said. “But now they admit that they could stop being paid within a week. 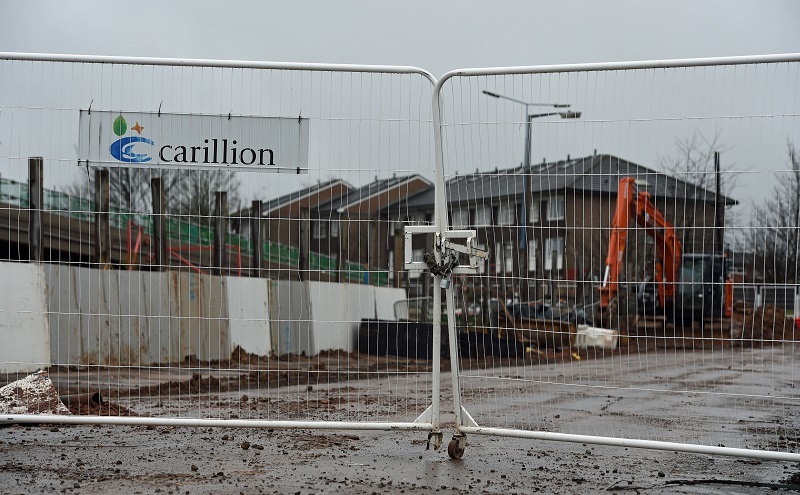 “On their watch, Carillion was handed millions of pounds of public money and allowed to become the country’s biggest provider of construction apprenticeships. They cannot now just stand by and allow thousands of apprentices who have done nothing but work hard for their qualifications to be abandoned, without pay, work or continued training.